Please excuse the rant, but I've just seen something that annoyed me. I've made no secret of my loathing of social media and the wannabe experts that frequent it - especially those who spread misinformation to their fanboys in an effort to score more likes. I just did a quick google search on 7A38-6020, and came across these 4 images of quite a decent example of the brown-coated version. 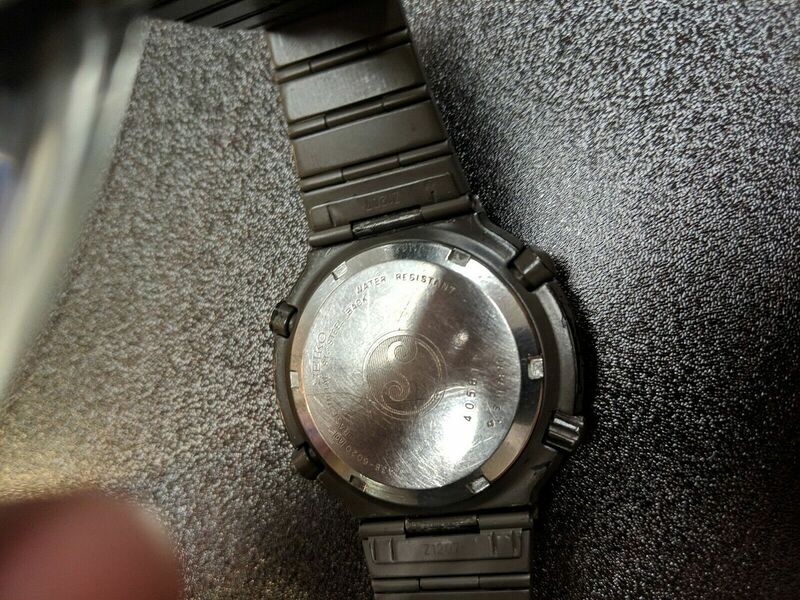 It looks like it may have benefitted from a NOS bracelet (compared to the coating wear on the case). The reason it might be 'lesser known' (to you) is because it's not a Giugiaro design - you ignorant F g Moron ! Well, what a surprise (not) - same case-back serial # 4O5611. Looks like this one is back and nearly double the price Spencer sold it for. You beat me to it, Matthew. 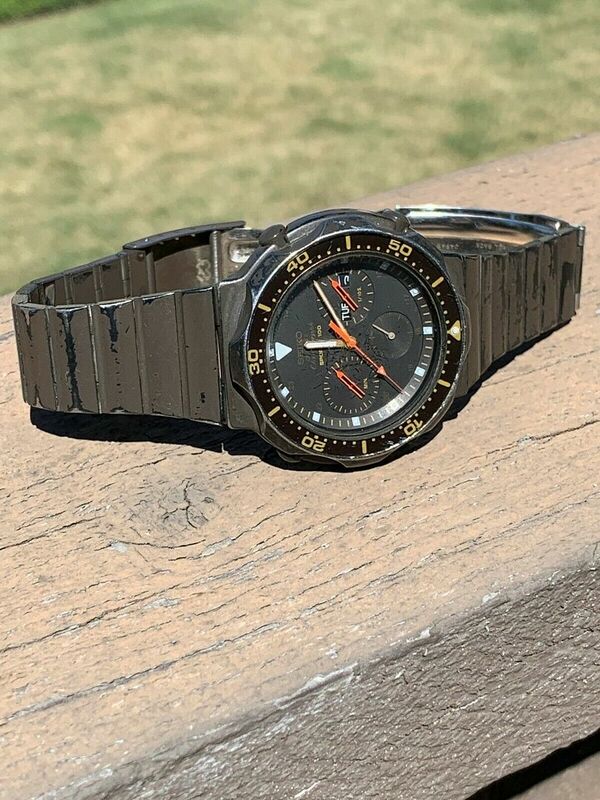 Yes, what is obviously the same brown-coated 7A38-6020 (case-back s/n 4O5611), sold by Spencer Klein (via his website) for $575 last December, was listed in the early hours of this morning by a US eBay seller, with a laughable 'pie-in-the-sky' Buy-it-Now price of $1050 (or the option to make a much lower more sensible offer). To add insult to injury, he's offering it through eBay's dysfunctional GSP programme, which potentially adds another $323 in charges for anybody foolhardy enough to contemplate using it. 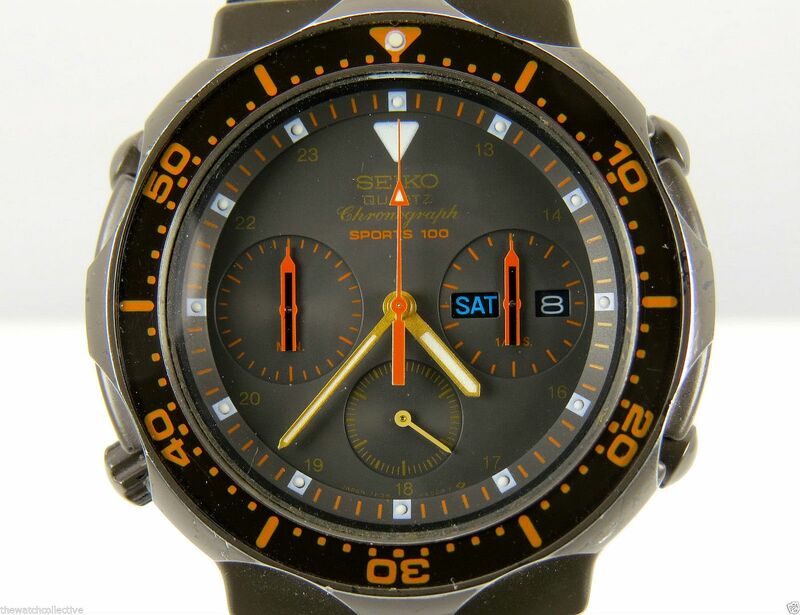 For sale is a rare Seiko 7A38-6020 in brown and orange and gold. 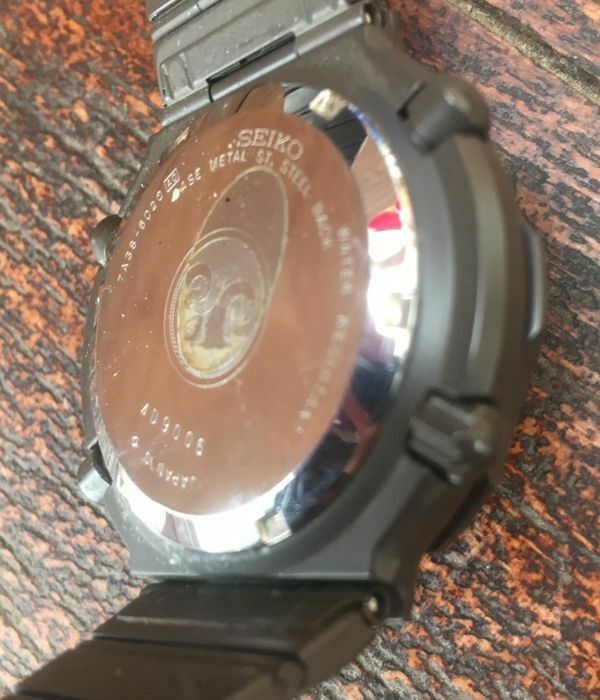 This was designed by famed Italian designer Georgetto Guigiaro, who also designed the Seiko watches used in the movie “Aliens”. 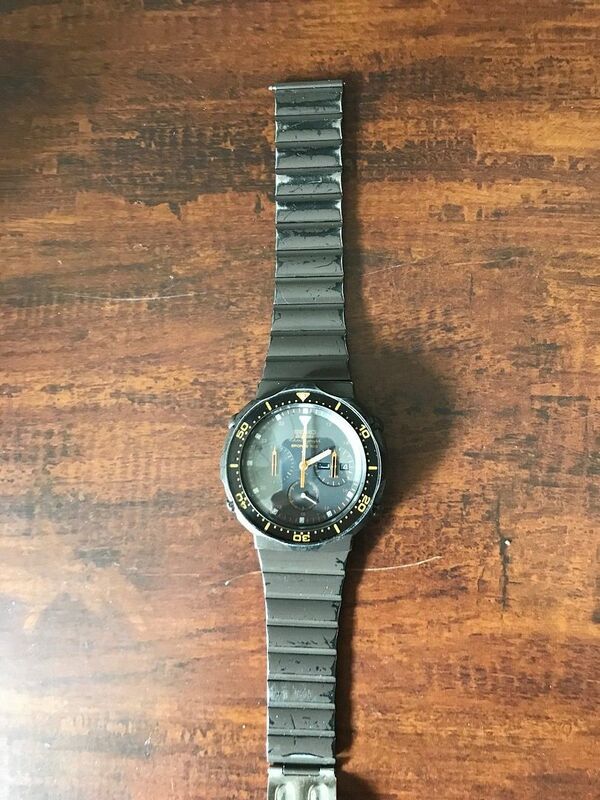 Watch was recently serviced (mechanically fully restored, case rebuilt/resealed) with NOS rotating ring, crystal, and bracelet. 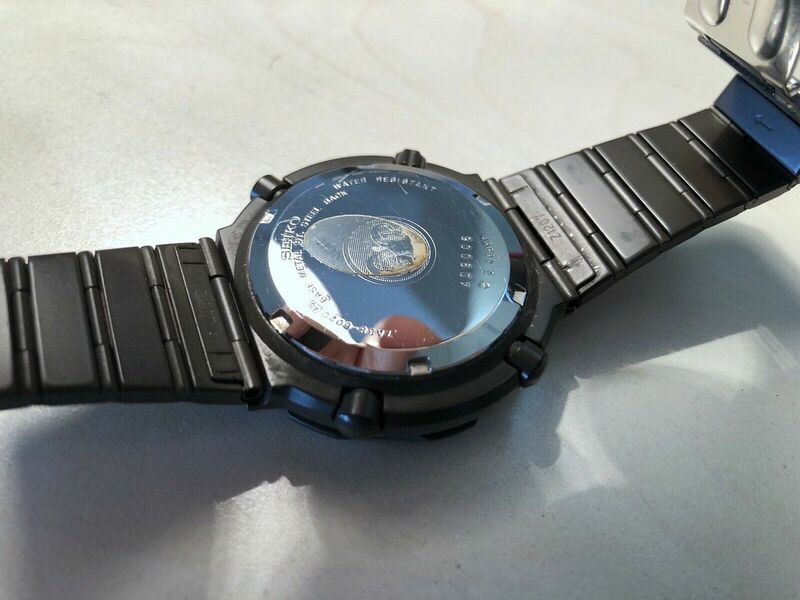 Mid-case does show some wear to the PVD. 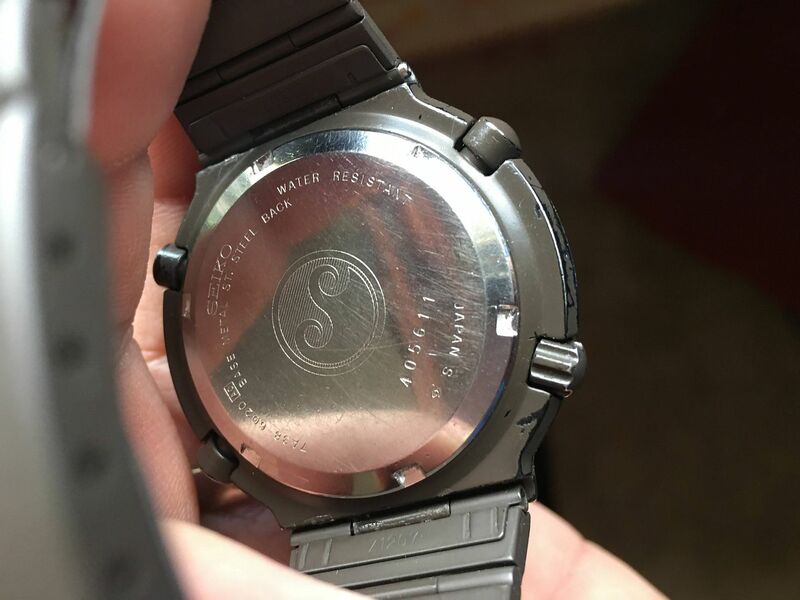 Some marks/scratches on caseback. Yup. I think you 'dodged a bullet' in missing that one, Matthew. 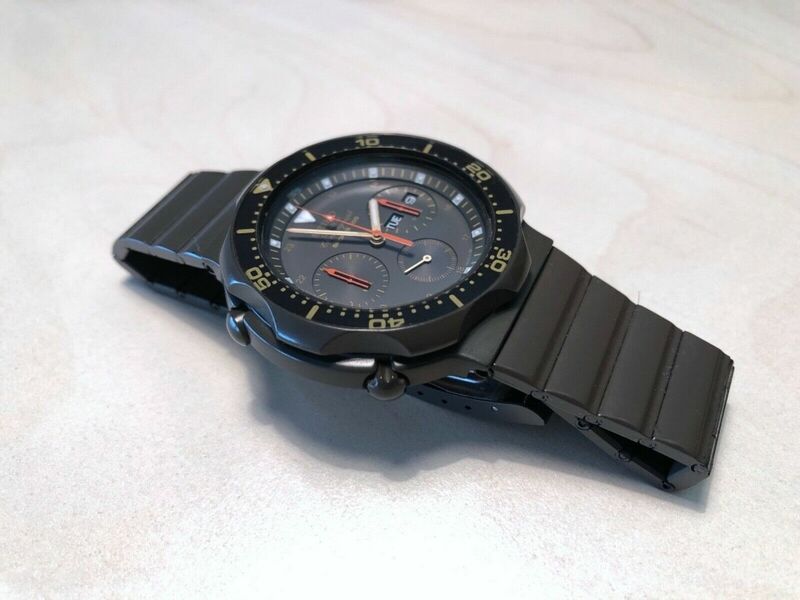 O.K., so the NOS bezel and bracelet are admittedly nice to have - and a good selling point. 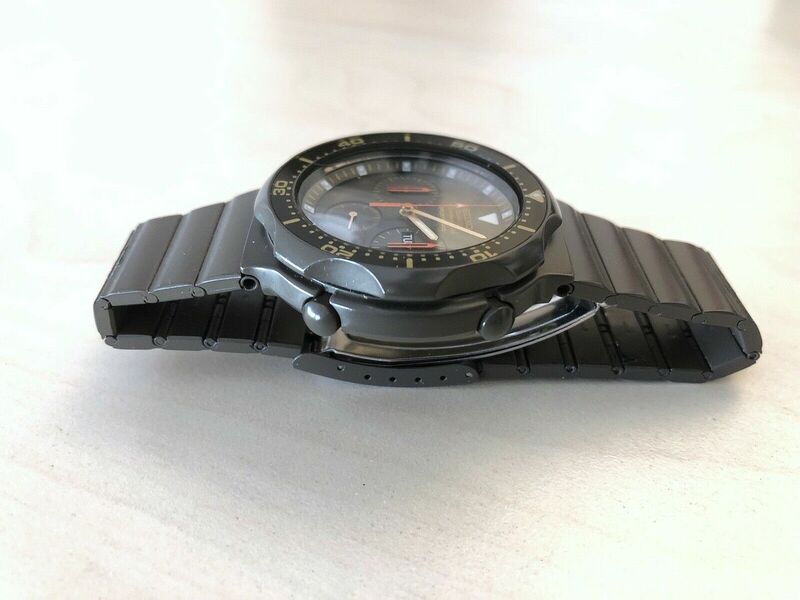 But I know that if I'd bought that watch (as a newbie), my eyes would forever be catching glimpses and then drawn to that badly worn watch case and pushers. 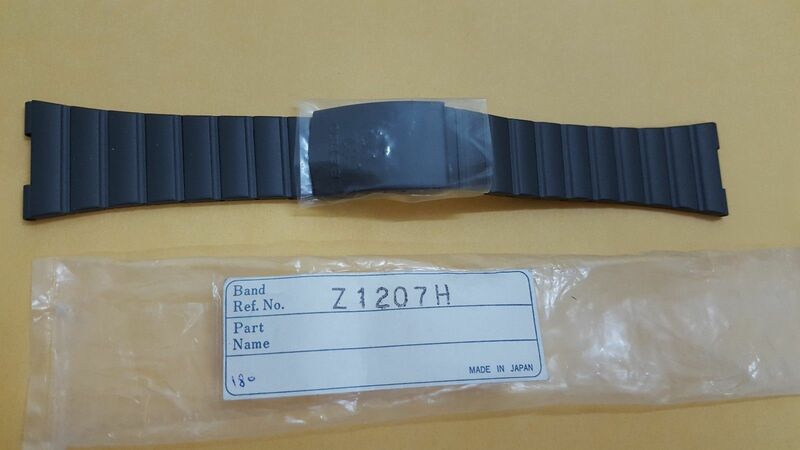 And I found the last available new old stock bracelet for it. 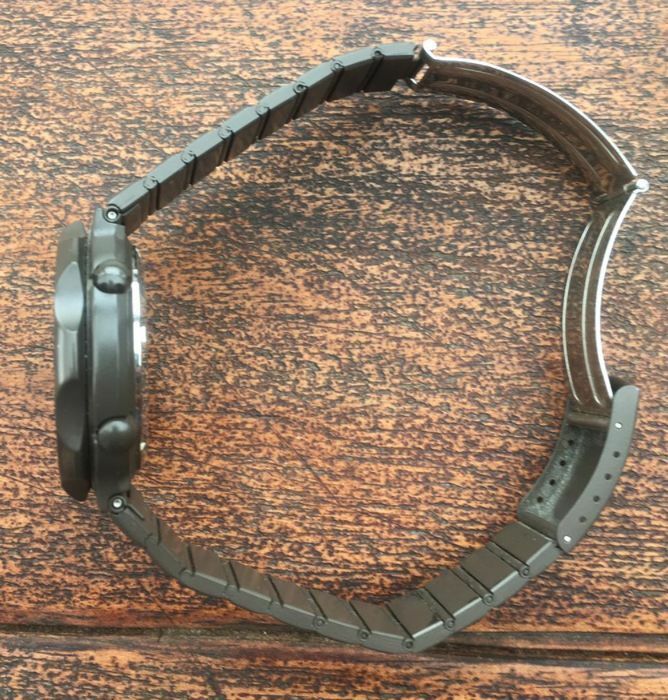 These are really, really, really hard to find and I paid more for the bracelet than I paid for the watch head. Then there's that rare as rocking horse droppings NOS Z1207H bracelet. Hmm. 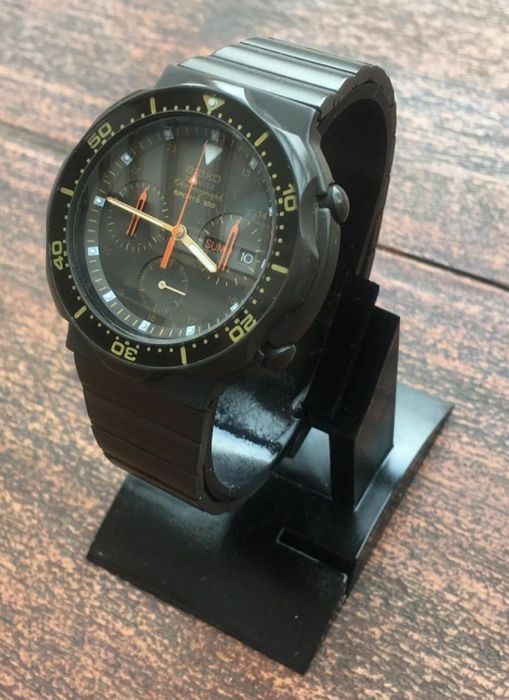 It seems I'd previously overlooked posting about it in this thread, but Filipino eBay seller Tony Plaza listed a couple of them, back in August 2015. IIRC, they were $89.99 or $99.99 apiece. I know I grabbed one a bit sharpish. 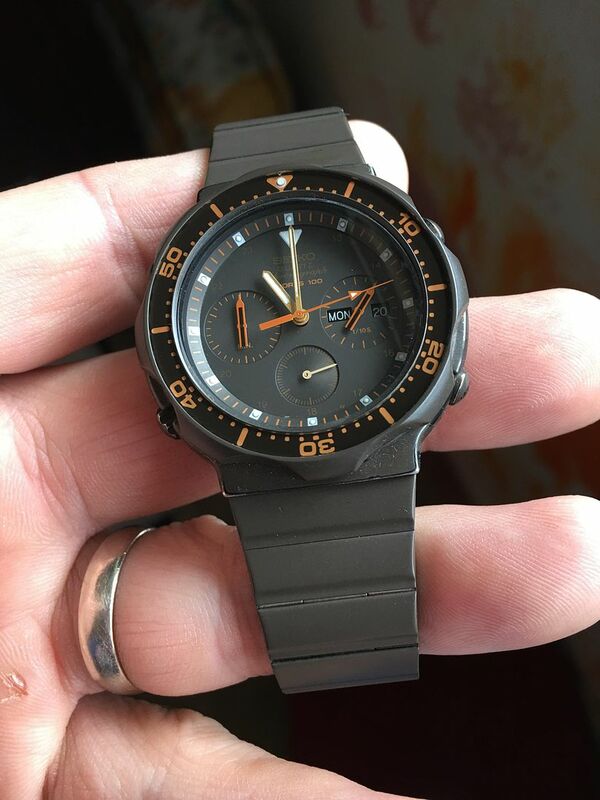 Seeing as he'd already had a couple of brown-coated 7A38-6020's pass through his hands, I suspect it was very likely Spencer Klein who bought the second one. 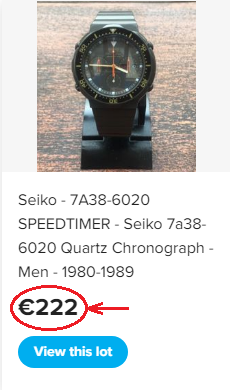 One of these days there will be one in a decent condition that is not hilariously over-priced. Maybe. 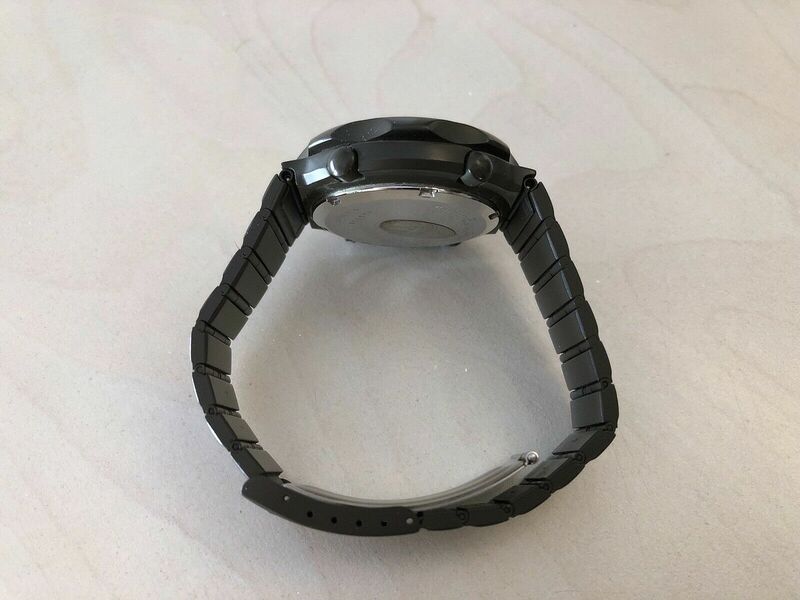 It definitely looks to be the same watch in all the videos. You are correct I do not recall any side shots of the coating in the sale pictures despite him indicating in the earlier videos the coating was well worn. At least I can feel secure now that I did dodge one there, so thanks Paul! 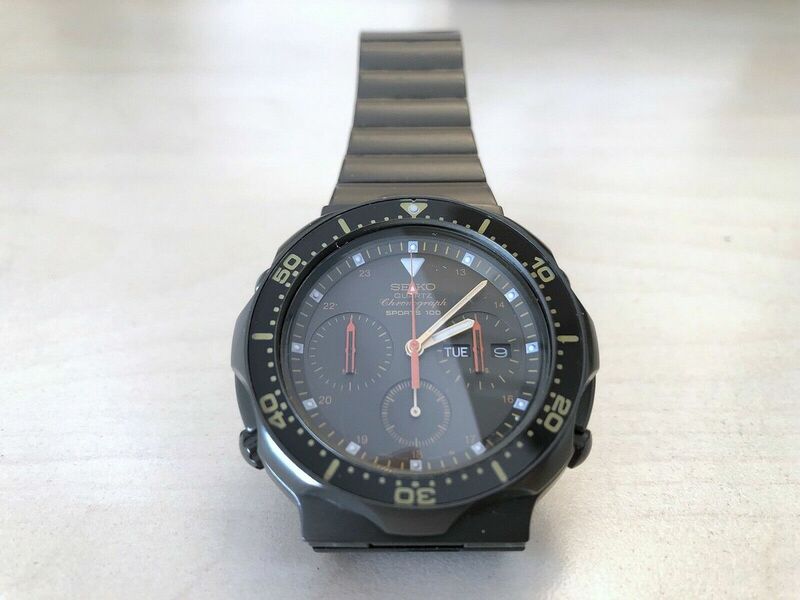 Much to my surprise, the would-be profiteering US eBay re-seller of the ex-Spencer Klein 7A38-6020 seems to have got lucky and found himself a mug punter buyer, rather quicker than expected. It sold early this morning (UK time), making him a handsome profit for his brief period of ownership. 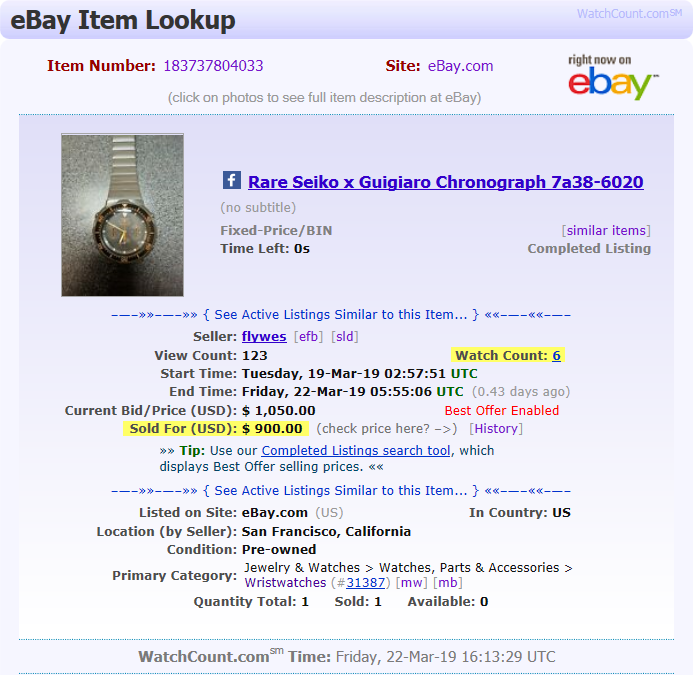 WatchCount.com's Look-up tool reveals it actually sold for a Best Offer of $900 ! 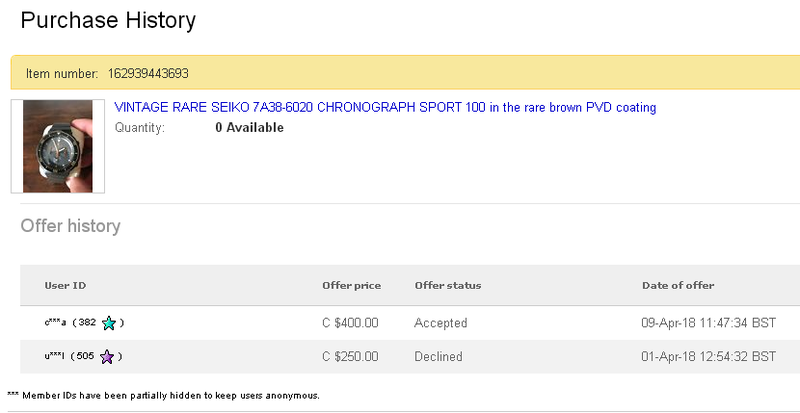 The eBay Purchase History shows the buyer was the only person to make offers. 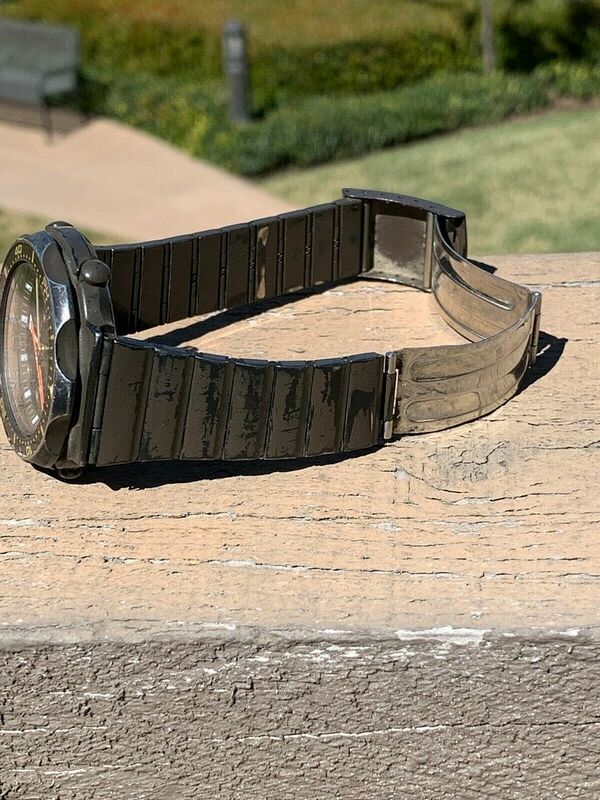 This brown-coated 7A38-6020 in average well worn condition was listed early on Monday morning, by a US eBay seller as a 7-day auction, with an opening bid price of $100. 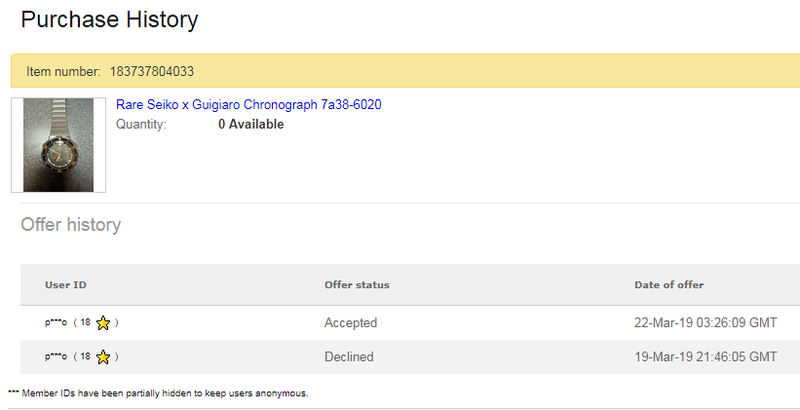 FWIW, it's being offered through eBay's dysfunctional GSP programme. 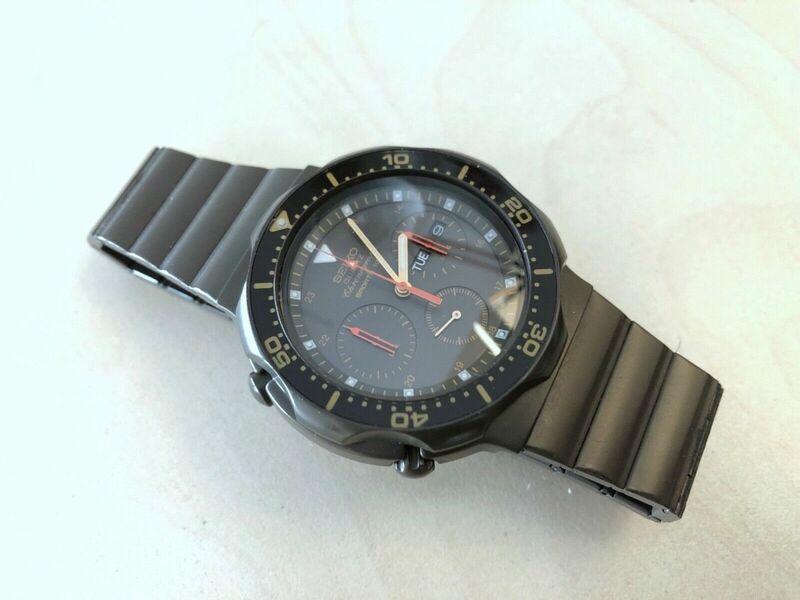 It's suffering from all the usual maladies, including coating wear, scuffed crystal, faded bezel inlay and dial printing. That all said, I'm a little surprised that with 3 days of the 7-day auction already passed, it still hasn't attracted an opening bid. 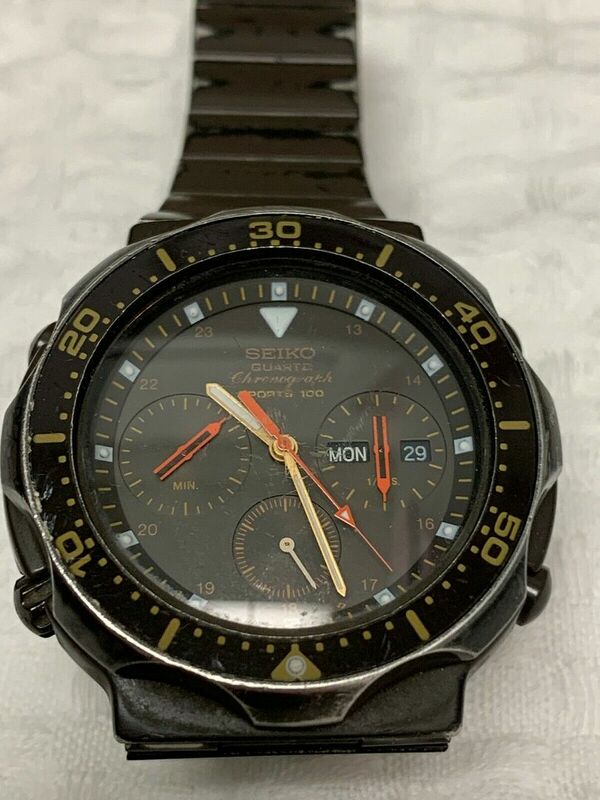 Seiko 7A38-6020 Quartz Sports 100 Chronograph Watch Giugiaro Design. Condition is Pre-owned. I am original owner, father bought it for me on a trip to Venezuela I believe the year to be about 1989. I wore it for most of the 1990s which accounts for the heavy wear. I do not have any other materials like box or links. 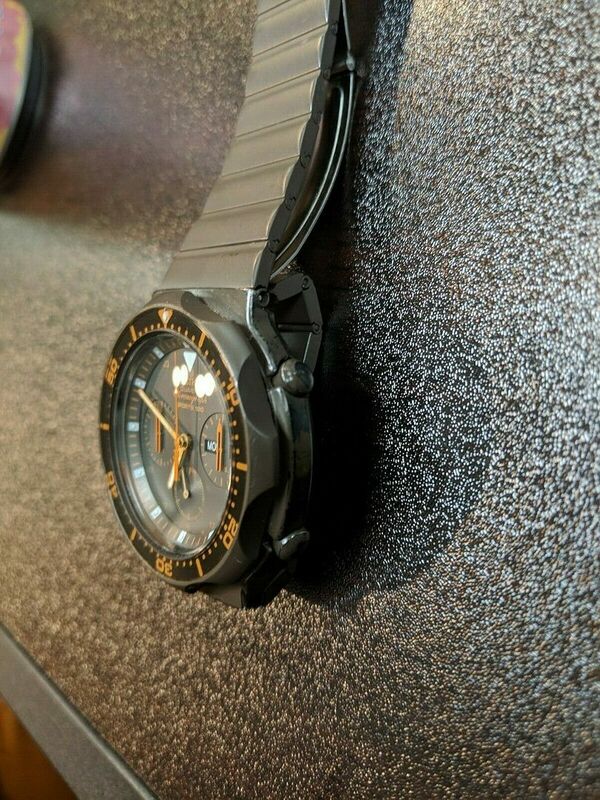 My wrist size is about a mediums men's I would say. I put a new battery in about 4 weeks ago and is keeping time. 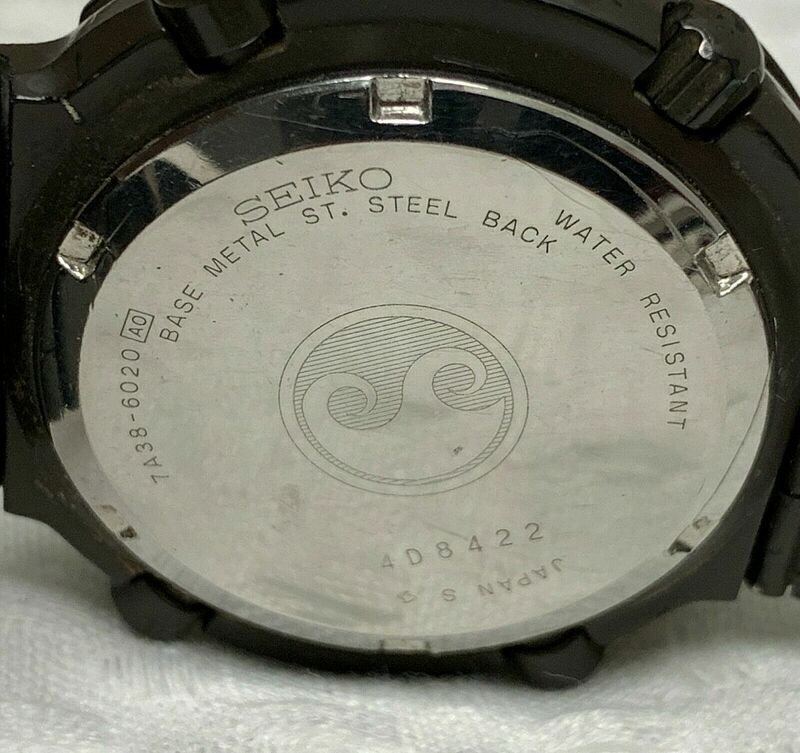 Since I have had it, I have been unable to replace any seals as the locals shops state they are unable to get parts as they recognize it was not for US market. Some pictures I took outside for best possible light to show wear. I suspect this other example in rather better cosmetic condition may be attracting more attention, particularly from a certain forum member. Patience, Matthew. 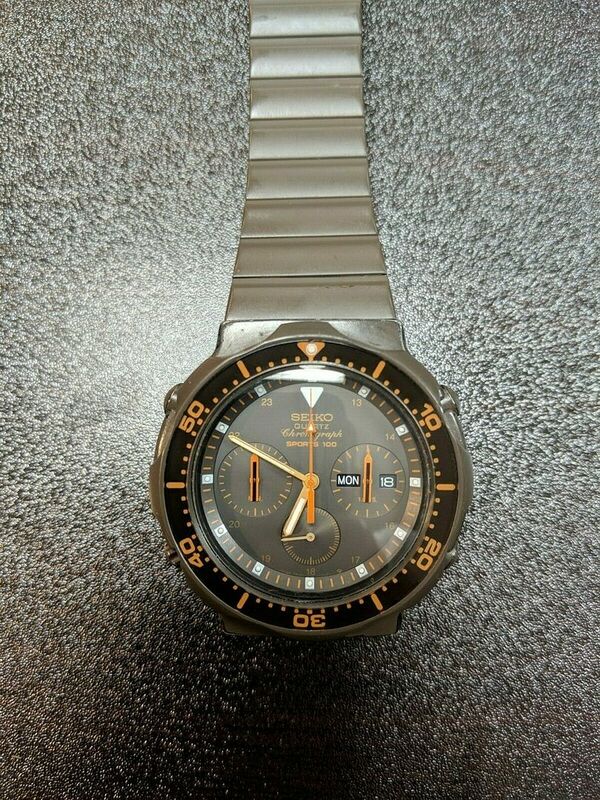 This brown-coated 7A38-6020 first appeared, albeit very briefly, late on Tuesday evening, listed by Italian eBay seller simone00simone, with a typically greedy and somewhat fanciful 'pie-in-the-sky' Buy-it-Now price of 1000 Euros. 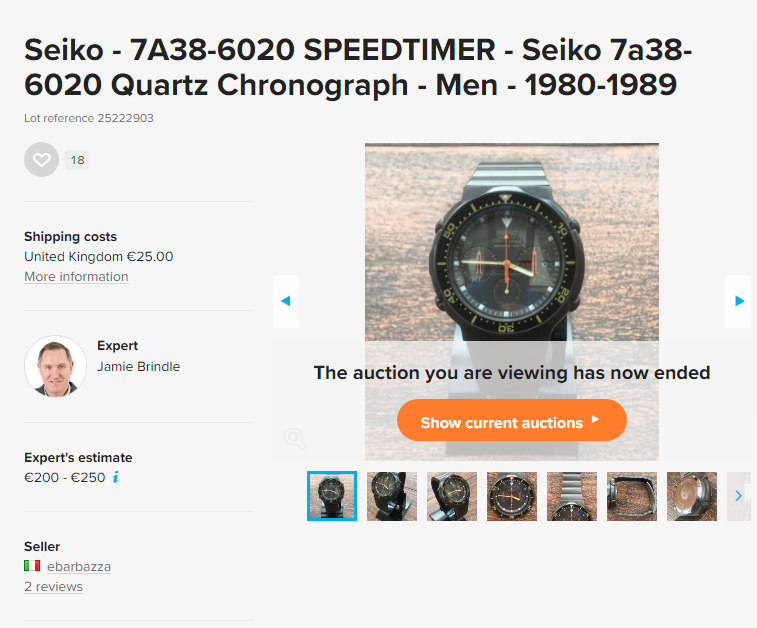 That listing lasted just over 9 minutes, before being withdrawn, allegedly because of an error in the listing. During the short time it was live, that first listing received a total of 11 views. 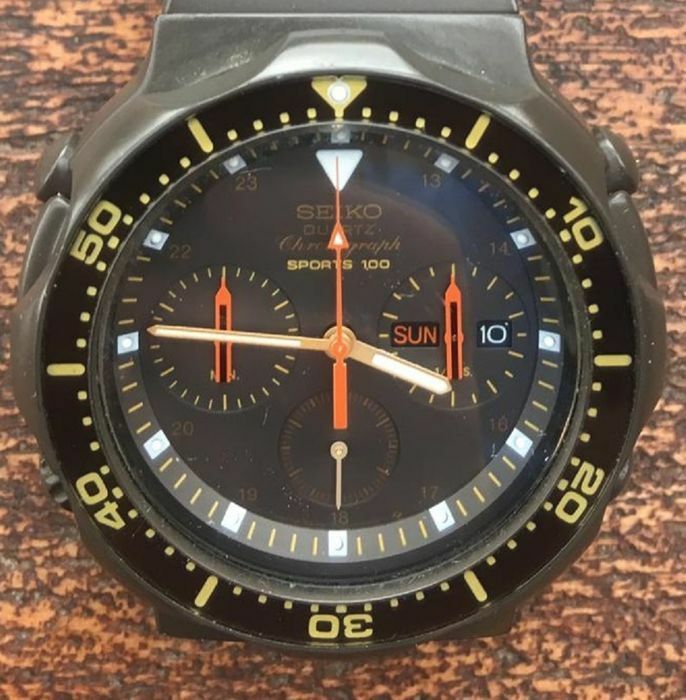 Wonderful vintage Seiko Quartz 7A38-6020 sport 100 nicknamed "chocolate" watch in superb condition, I think it was purchased and then placed in a drawer and almost never worn. 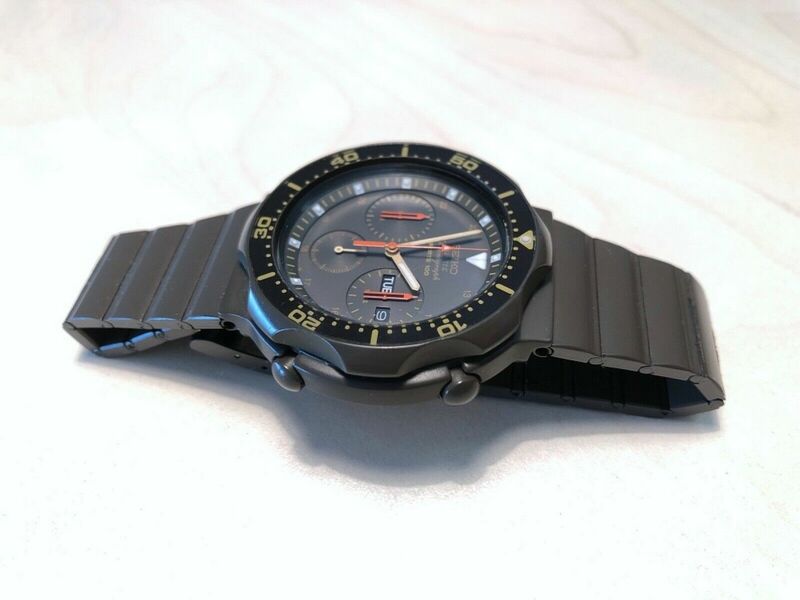 Working watch, chronographs, date change, reset and perfect buttons, fully functional watch. Contact me for any clarification, I do not accept the return. Any customs clearance costs are the responsibility of the buyer. As usual, with most Italian eBay sellers, there is an element of half-truths in the description. 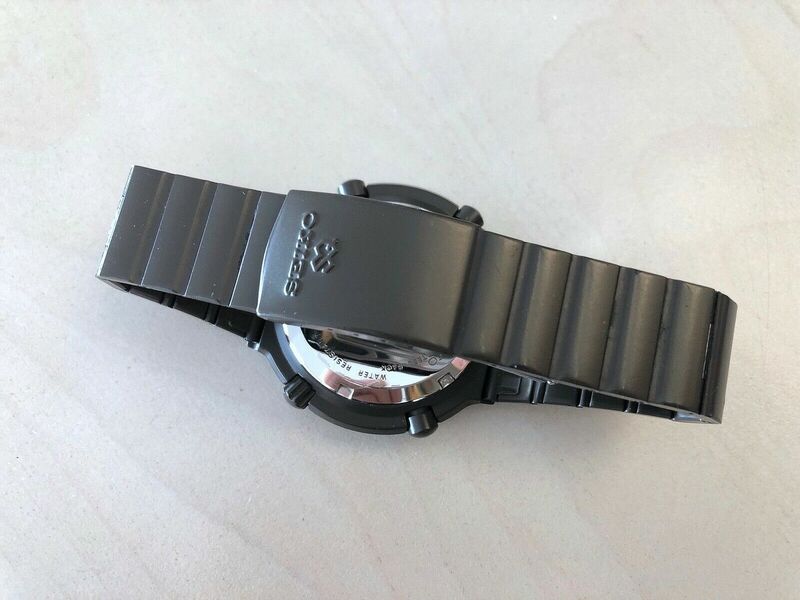 This watch has certainly been worn - as evidenced by the 'DNA' visible on the inside of the clasp and the discolouration of (and dirt leached under) the JWC inspection sticker. 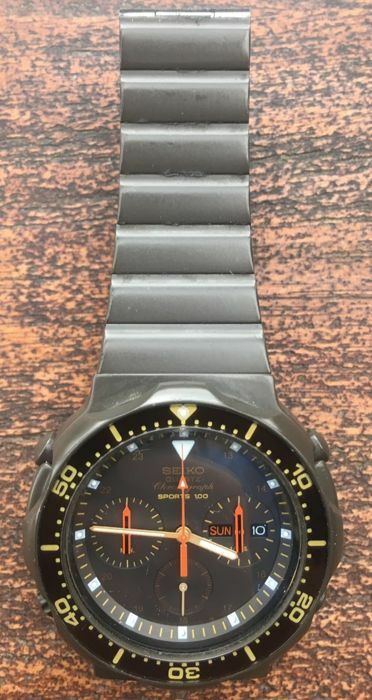 It has also evidently been exposed for some considerable time to the bright Italian sunlight, rather than spending its entire life in a drawer, because the once orange bezel inlay numbering and dial printing have typically faded to pale yellow. 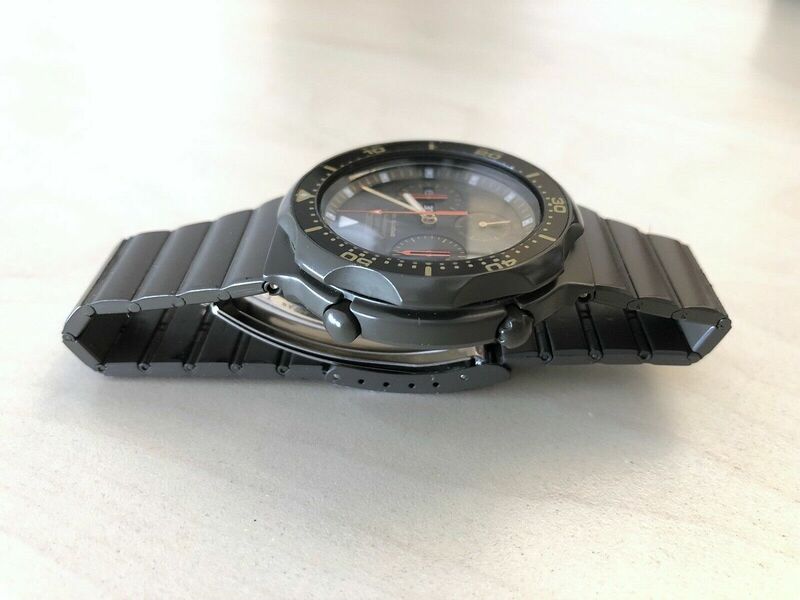 That said, it has obviously been very carefully looked after by the original owner, resulting in minimal wear to the vulnerable brown coating. Simone is a known dealer, with an eye for a quick fat profit - often for minimal effort. 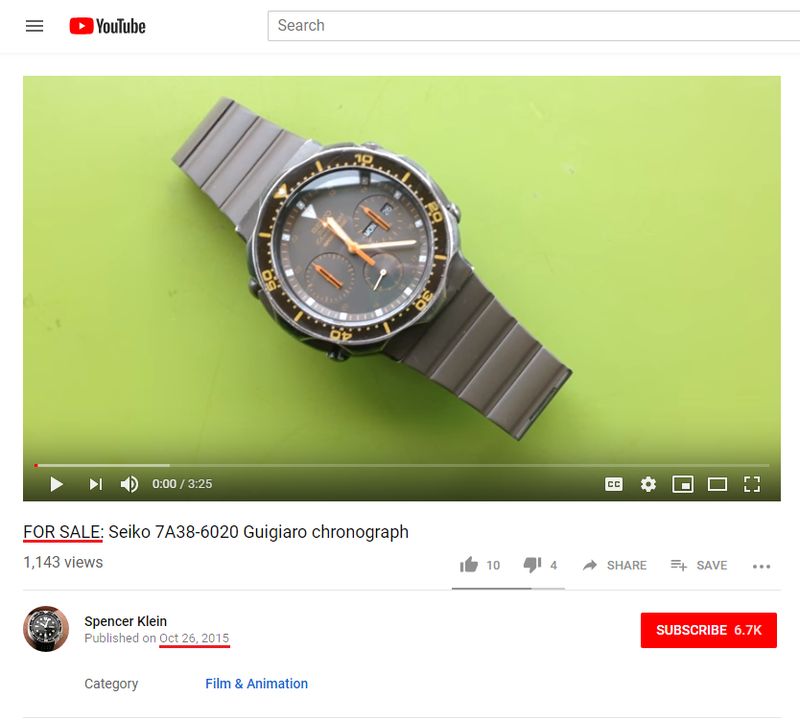 Some of his other recent listings show that he does nothing more than give watches he re-sells a quick wipe - and has little or no idea how to correct even basic faults. When he does actually fit replacement batteries, he uses the cheapest nastiest, that money can buy. 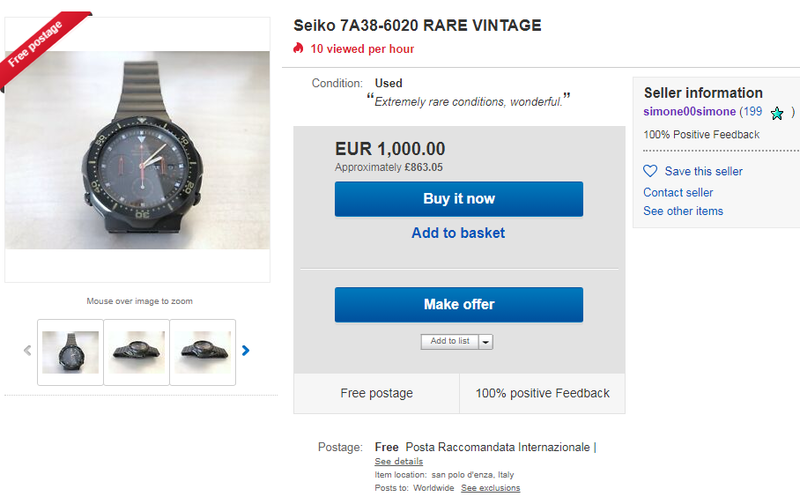 He appears to source the majority of these watches from eBay Germany and eBay Italy and often coerces gullible sellers into agreeing to lowball 'back door' offers. He also sometimes buys off Subito.it and Kijiji.it. 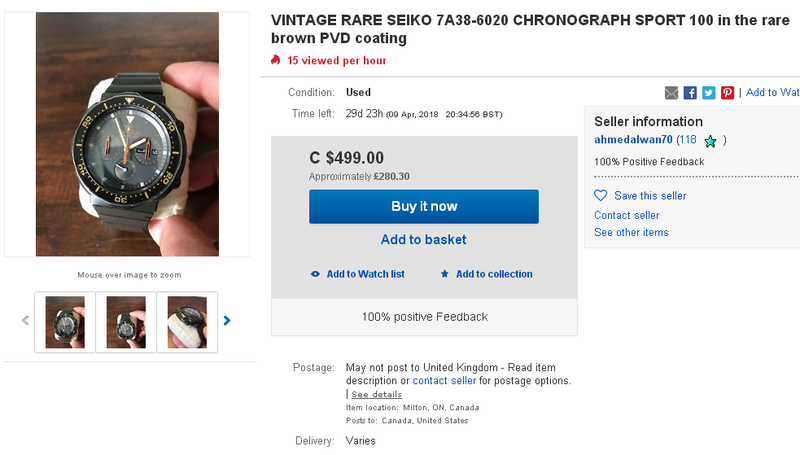 This particular brown-coated 7A38-6020 had me briefly scratching my head - until a google search quickly revealed where he'd bought it. 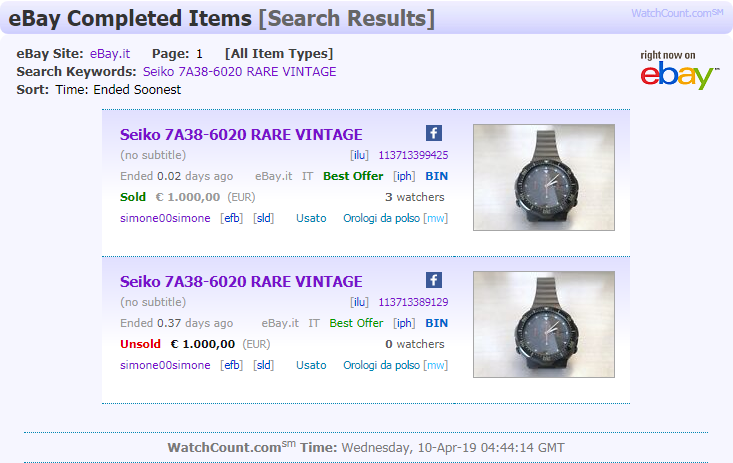 It was among 49 lots included in an Italian Seiko watch auction which ended on 27th March. Needless to say, the case-back serial number 4D9006 matches - as incidentally does the slightly incongruous looking presentation box. 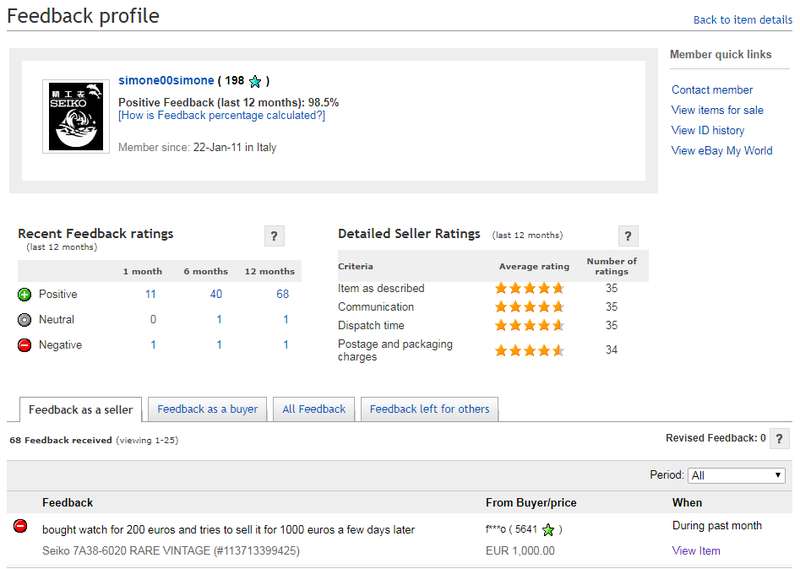 You'll also find how much Simone actually paid for it, in winning the auction - a mere 222 Euros ! Once again, a nasty bit of profiteering. Indeed, early yesterday morning, it looked like he might have got away with it, when someone apparently hit the Buy-it-Now button for the full 1000 Euros asking price. I just happened to look at the above re-listing again this afternoon and noticed that Simone's feedback had mysteriously dropped from 199 to 198 since I'd made my previous post this morning. Seems he's picked up a negative for his troubles. 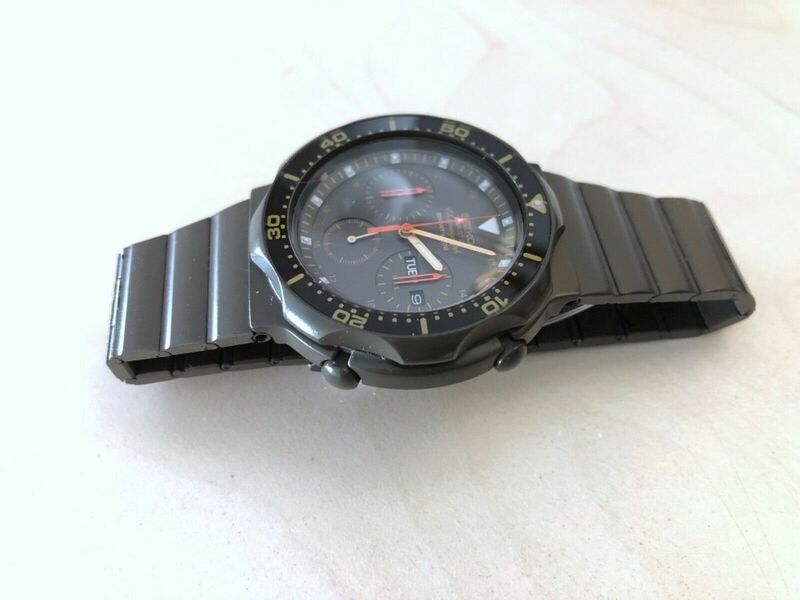 bought watch for 200 euros and tries to sell it for 1000 euros a few days later. The disgruntled eBayer who left him the negative, with a current feedback rating of 5641 is obviously the same person who made an offer on the previous listing, was declined and then hit the Buy-it-Now button. Presumably Buyer's Remorse and / or common sense kicked in soon afterwards. So Well Done that man !! If you check Simone's feedback now, you'll see that negative feedback (and this morning's follow-up) has since been removed. 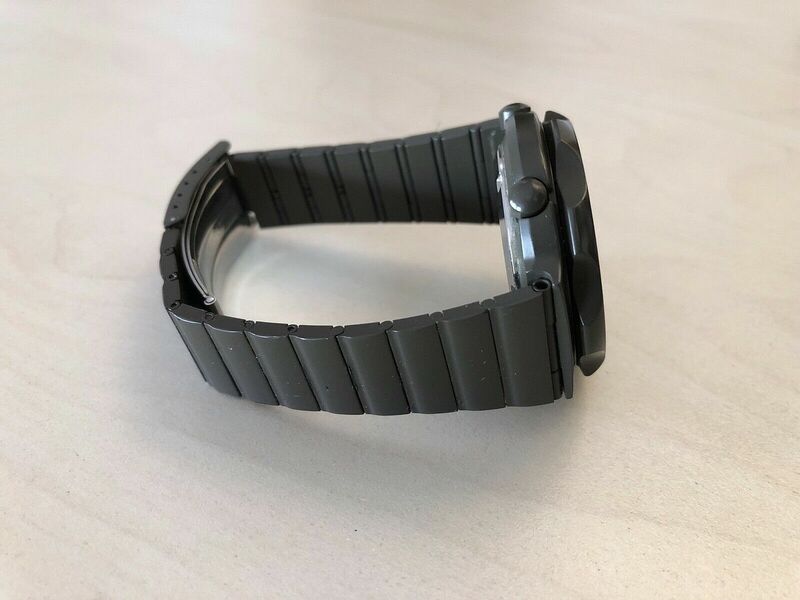 Another whitewash by eBay. 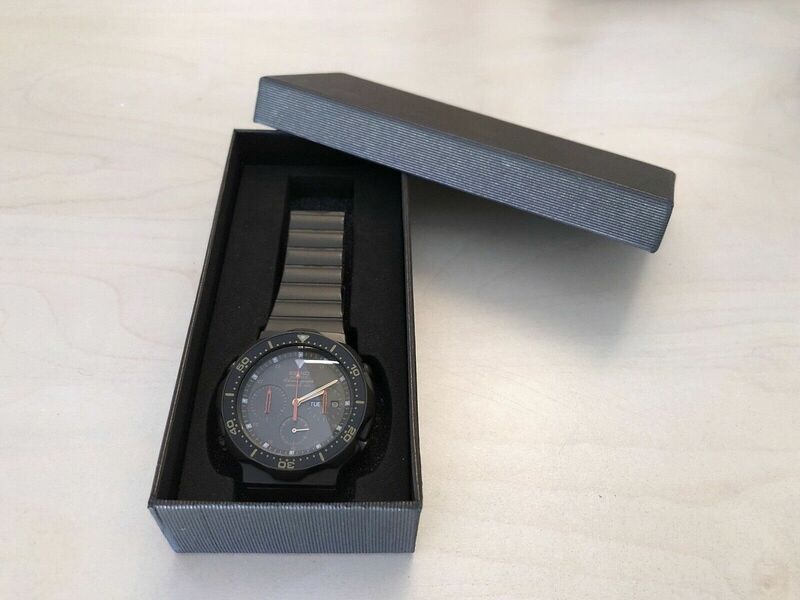 I note with contempt that deranged and embittered would-be Australian eBay seller aussiewatches has decided to slither out from under his rock once again, to launch another personal attack on myself and this site. In the early hours of this morning he regurgitated yet another fallacious 7A38-6020 listing, habitually priced not to sell @ his usual $3999.95 Au. Buy-it-Now price, which incidentally is a factor of 10 times what his own well worn example is worth in real world terms - on a good day. 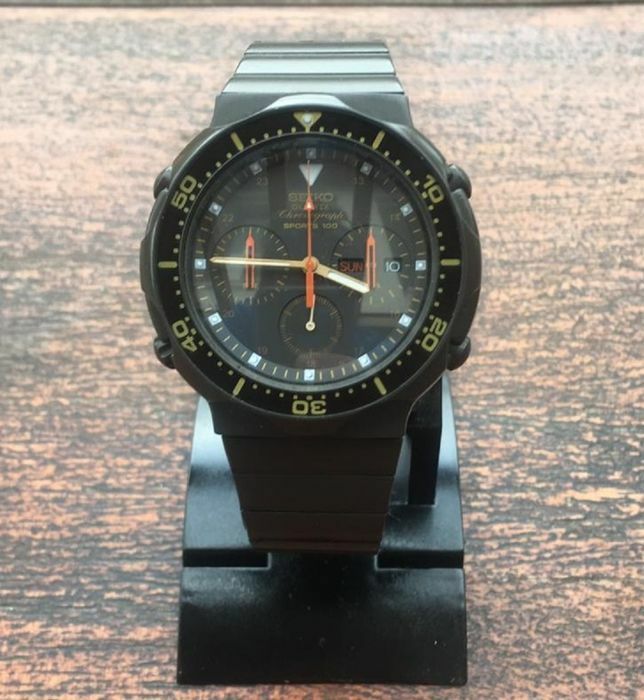 If you zoom in on it, you'll see it's lightly watermarked thewatchcollective in the bottom left hand corner. 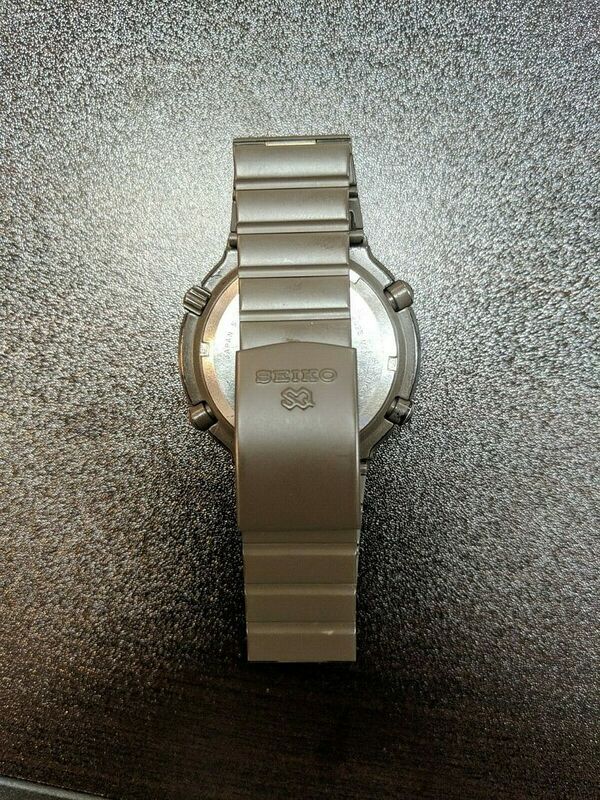 This photo was the primary image in a US eBay listing, back in January 2014, which you can find documented on the first page of this thread and where he obviously stole it from. 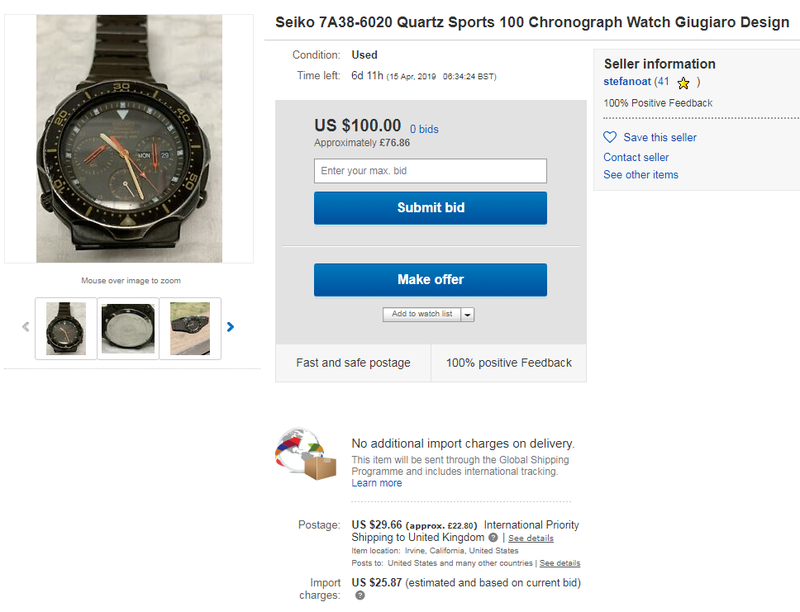 I say obviously, because although the eBay listing link surprisingly still works, the eBay hosted images have all long since disappeared into the ether, so there's nowhere else he could have stolen it from. 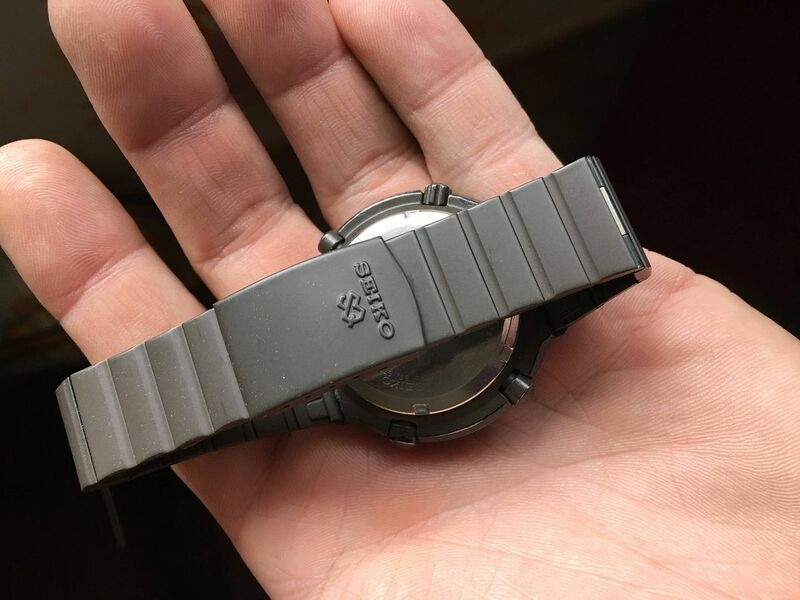 At the risk of incurring the wrath of the clearly deranged and embittered Australian eBay seller aussiewatches (not that I care one jot), I'm going to add a couple of quick footnotes to this unfinished saga. If you click on the link I embedded in my previous post, you'll find nothing now. 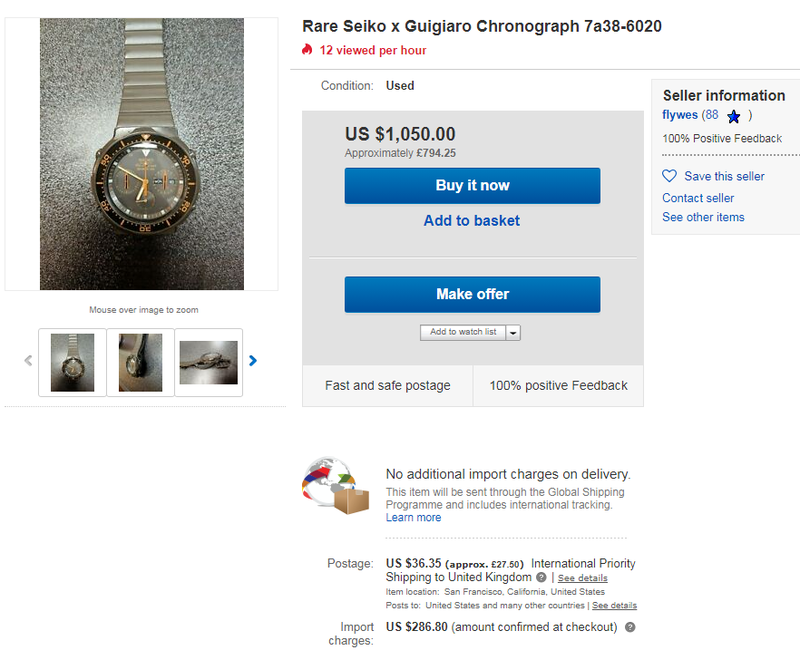 He ended those 3 BOGUS (and potentially fraudulent) eBay listings after a couple of days, in his typical manner - as item no longer available. Not that they ever were. He created another 3 BOGUS listings last week, all of which had his vitriolic tirade against myself in bold red text as a 'description'. 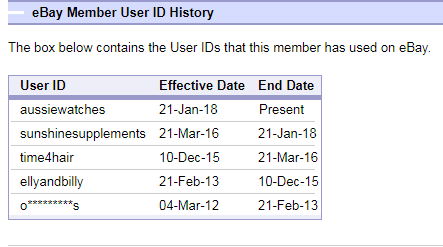 Again they're also now 'no longer available'. FWIW, I've documented a couple of them in the 7A38 'Vulcan' thread. He hasn't made any further attempt to sell his brown coated 7A38-6020 since and looking at his recently modified eBay profile, he may have decided to keep it. Doesn't look quite so attractive there, as some of his other photos, does it ? 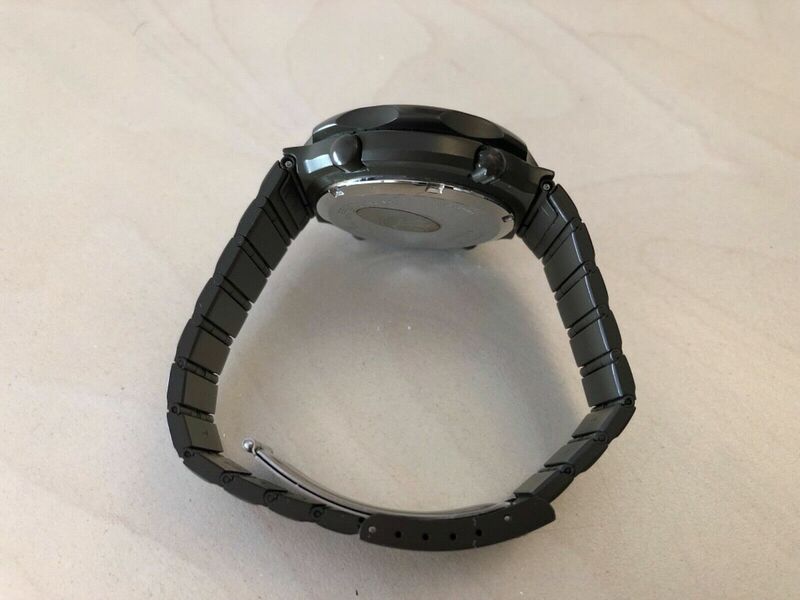 This Australian eBay seller may have been an eBay member since March 2012 and racked up a feedback rating of 452, but as the eBay ID history reveals, he's only been trading as aussiewatches since January 2018. 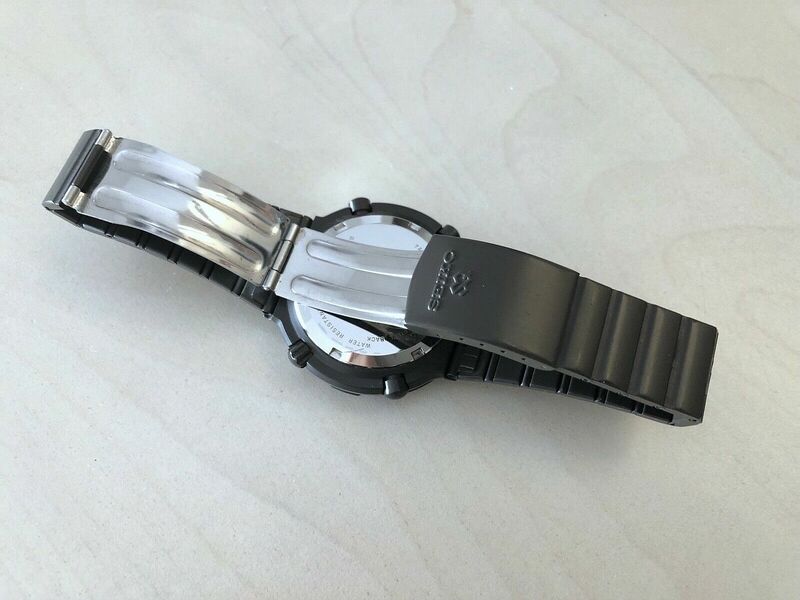 In fact, if you take 10 minutes to scroll through his feedback, very few of them were for transactions selling watches. In the last 6 months, the majority of his feedback received was for selling Minichamps 1:43 model racing cars. Prior to that, he was selling Cod Liver Oil capsules as sunshinesupplements and herbal shampoo and fake baldness remedies as time4hair. Talk about snake oil salesman ! He even managed to pick up a few negative feedbacks earlier in his selling career. These include: 'Disgusting communication after very small issue with item'. My favourite was the one at the bottom of page 11 that says simply 'dumb idiot'. Needless to say that the Aussie W@nker ended his latest re-listing earlier this morning in his usual cowardly 'hit and run' manner after only 6½ hours. That average well-worn brown-coated 7A38-6020 did eventually manage to attract a few bids. 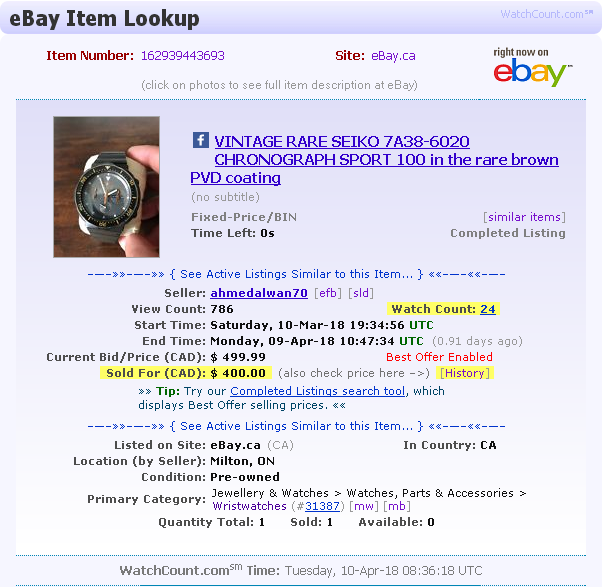 The 7-day US eBay auction ended early this morning (UK time), with it selling for $271.56 after 7 bids. 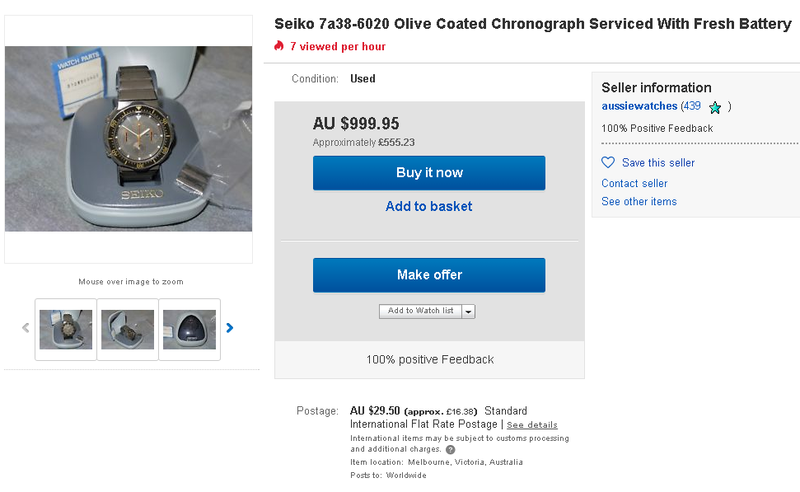 Funnily enough, that's pretty close to the $399.95 (Au) I reckon our deluded Australian 'friend's similarly worn example is worth. 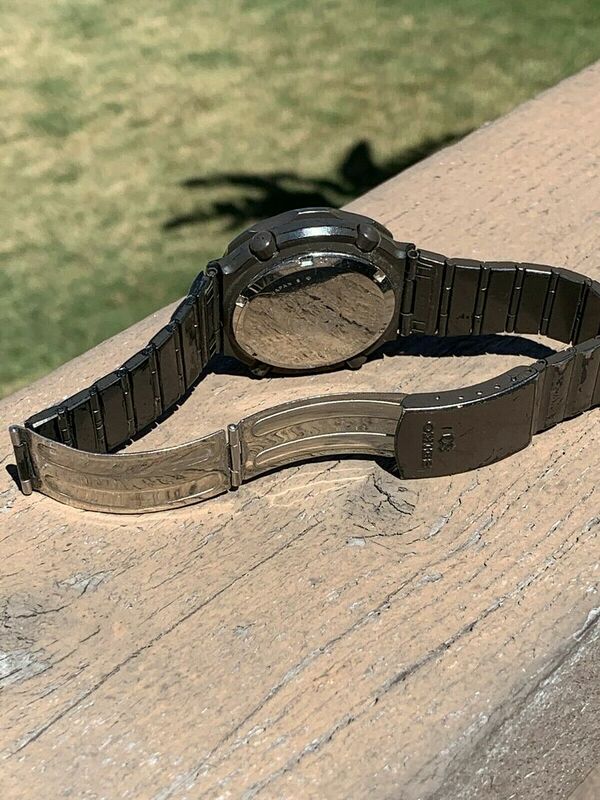 Another brown-coated 7A38-6020, in average worn condition, was listed this afternoon by an Australian eBay seller, with a 'pie-in-the-sky' Buy-it-Now price of $999.95 Au., or the option to make a more sensible much lower offer. 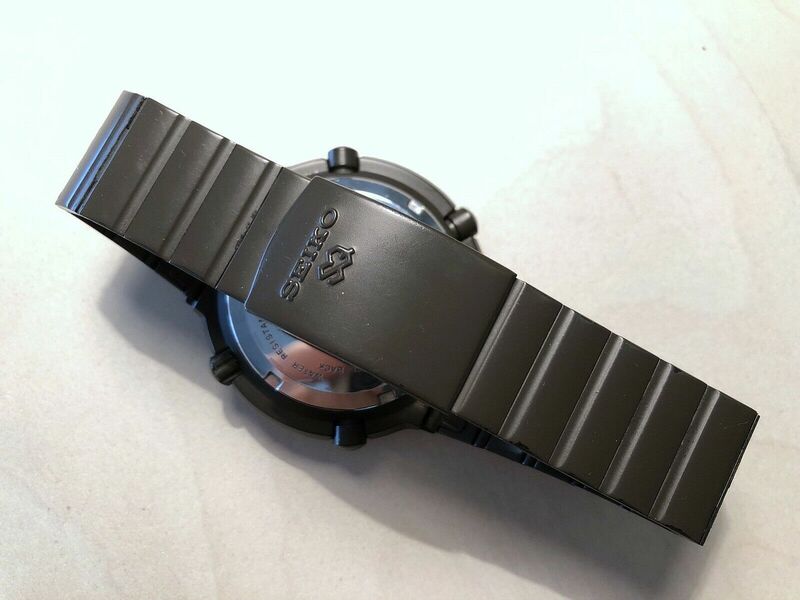 It comes supplied with a spare NOS Seiko p/n 310W68GN00 crystal. 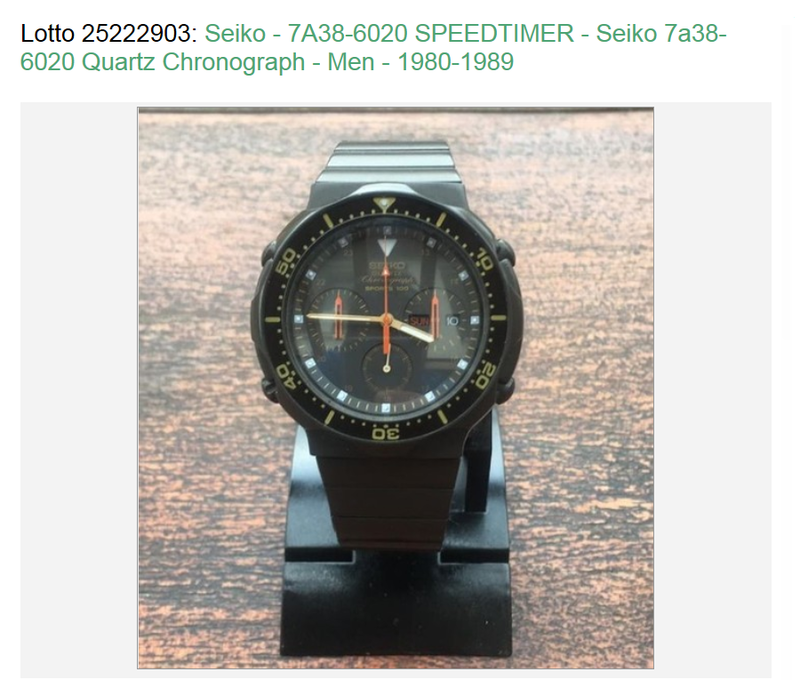 Incidentally, the seller is also listing a 8123-6280, effectively the small non-chrono' version of the watch, which I mentioned on the first page of this thread. If you've been following this saga and read through the previous page then you'll already know it has been re-listed multiple times since the first week of January, with the original 'pie-in-the-sky' $999.95 Au. Buy-it-Now price increasing in leaps and bounds, first to $1299.95 Au, then $1999.95 Au., $2999.95 Au. and $3999.95 Au. (currently using a stolen photo of a completely different, much better condition example, purely as a means of attracting attention to his hate-fueled diatribes). But let's get back to 'his' watch. I've already demonstrated that he's not averse to 'borrowing' other people's photos. 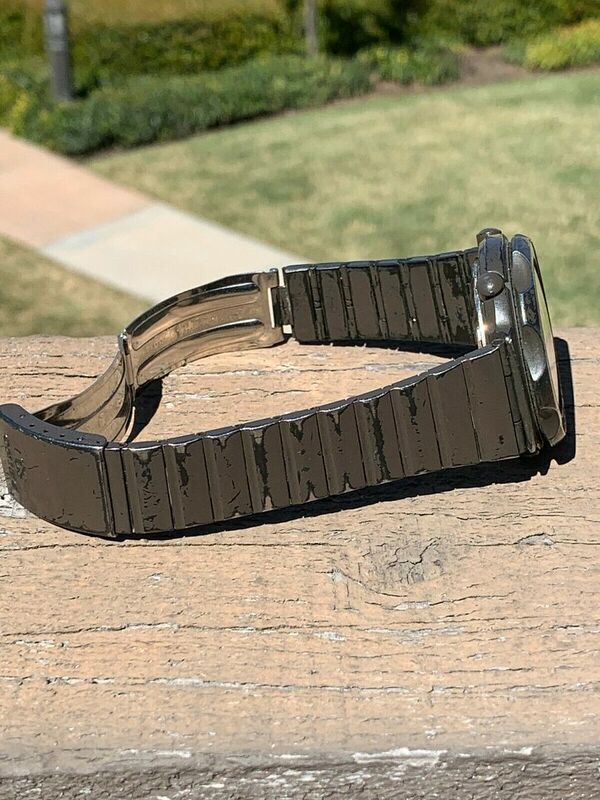 Look again at his eBay profile banner photo. When I first saw that, I should have recognized it as another case of Déjà Vu. It's been cropped from the same larger photo above and rotated through 90°. 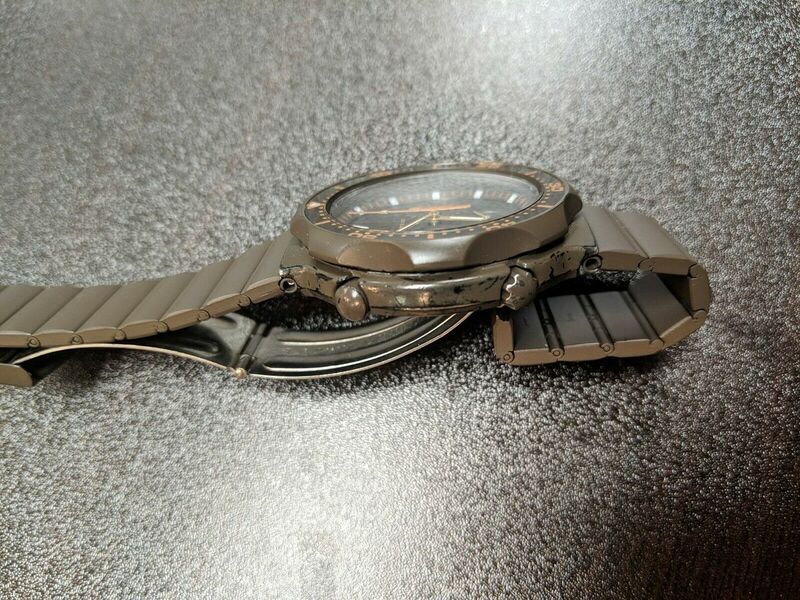 This brown 'PVD' coated 7A38-6020 was listed yesterday evening by a Canadian eBay seller with a Buy-it-Now price of $499 CA (equivalent to approx. 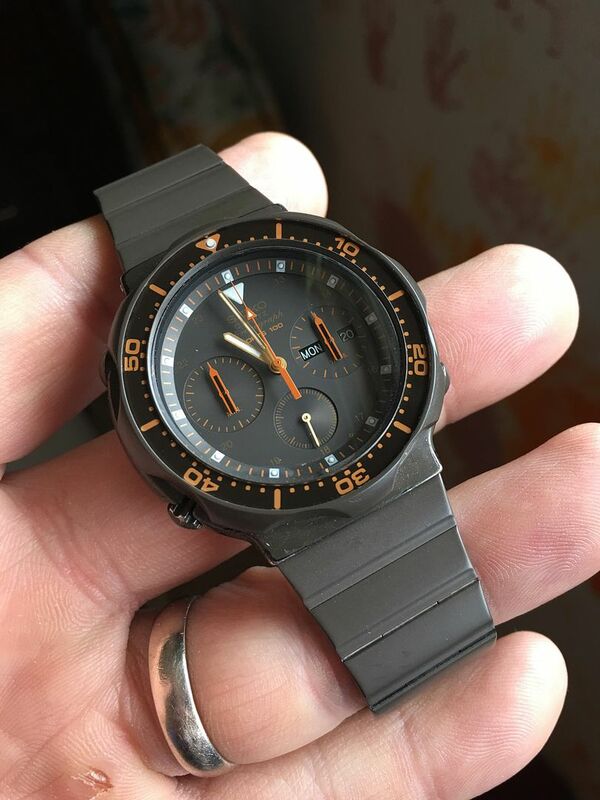 $389 US) and as yet no option to make an offer. 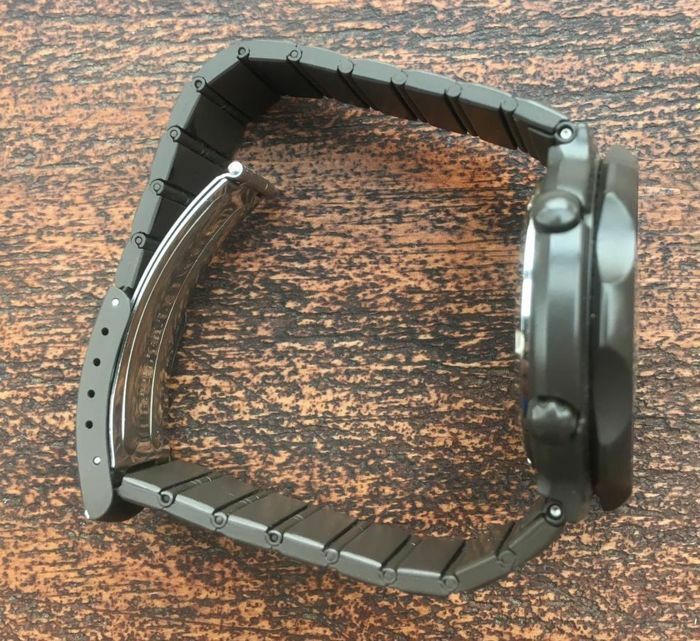 It's in typical average worn condition, with some loss of the brown coating and worn right through the black chrome plating to the base metal underneath in the usual places - on the underside of the bracelet and one of the bezel thumb grips. ($400 CAN is equivalent to approx. $315.20 USD / £222.60 GBP). Perhaps, with hindsight, I should also have added that $400 CAN is currently* equivalent to $418.50 AUD. 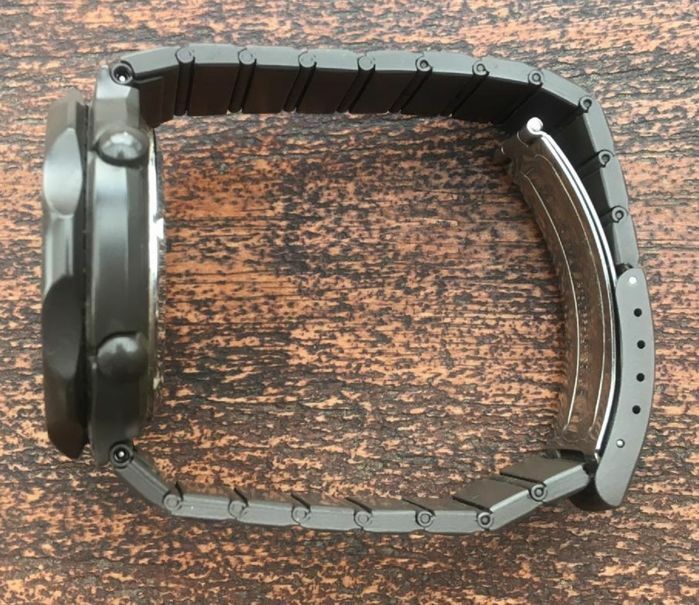 Although aussiewatches has never actually uploaded a photo of his watch's case-back, showing the serial number (for obvious reasons), it's clearly the same watch, s/n 4O5699. 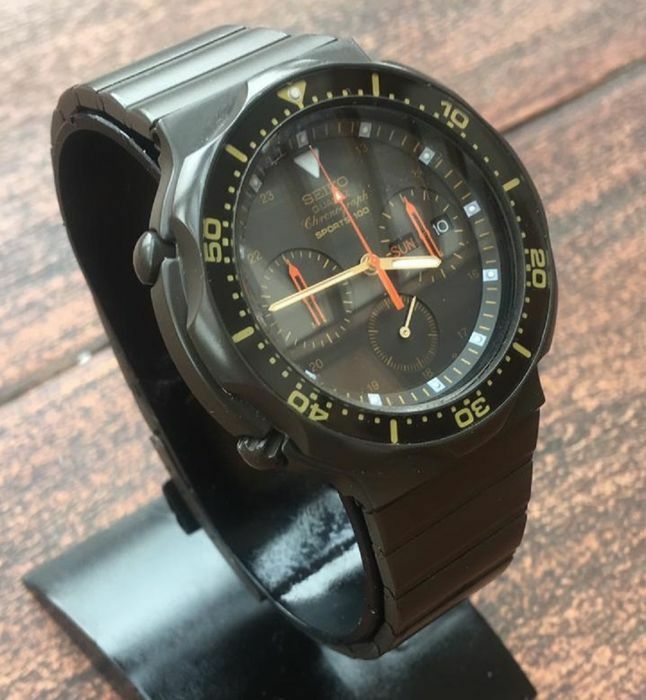 For verification, if you click on the link to the eBay Purchase History that I'd included in my quoted post, you'll see that it was purchased by c***a (453) - the same feedback number as aussiewatches. *The prevailing $ CAD / AUD exchange rate in early April 2018, of approx.1.02 would have given a lower figure of $408 AUD, rather closer to $399.95 AUD.